OMG Guyssss my most anticipating post for this week!! 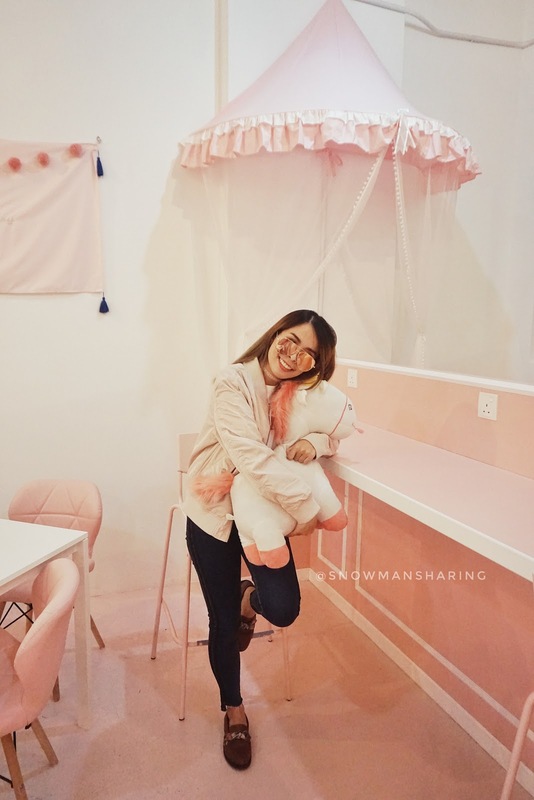 I am gonna share with you guys a recent hit PINK CAFE located at Sunway Geo Avenue. In this post, you will see there will be a lot of my photos around the cafe corners more than the food picture. I would say the food wise here is limited, you can order their signature waffle and latte to hang out in this cafe. 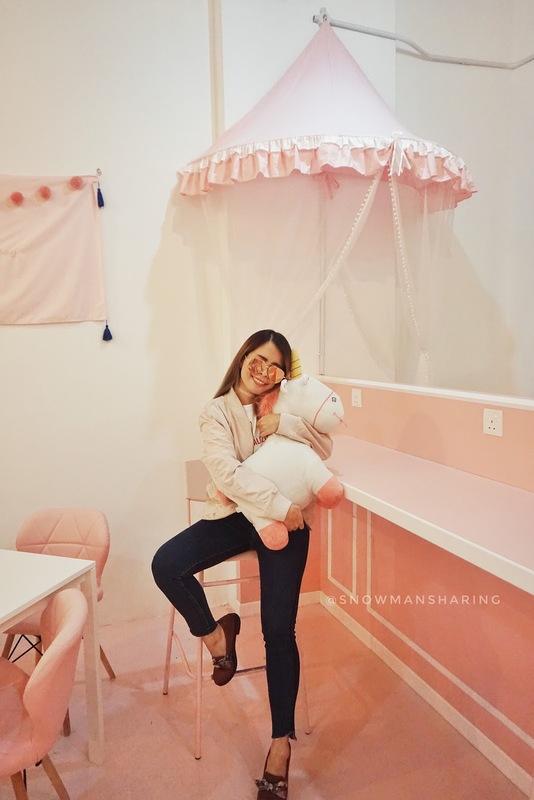 When you enter the cafe, everything is so PINK! 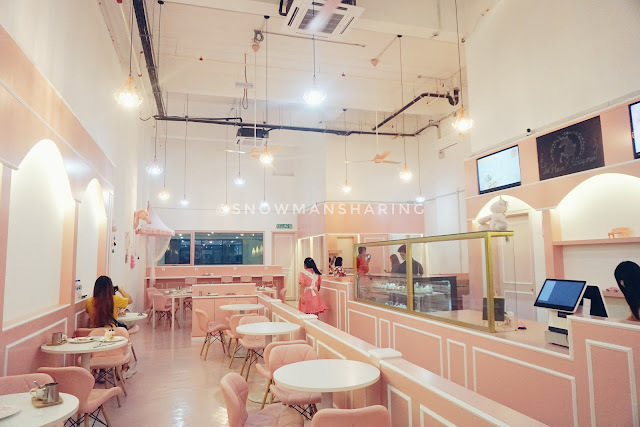 I love how the cafe looks really spacious and clean with only pink and white colors. 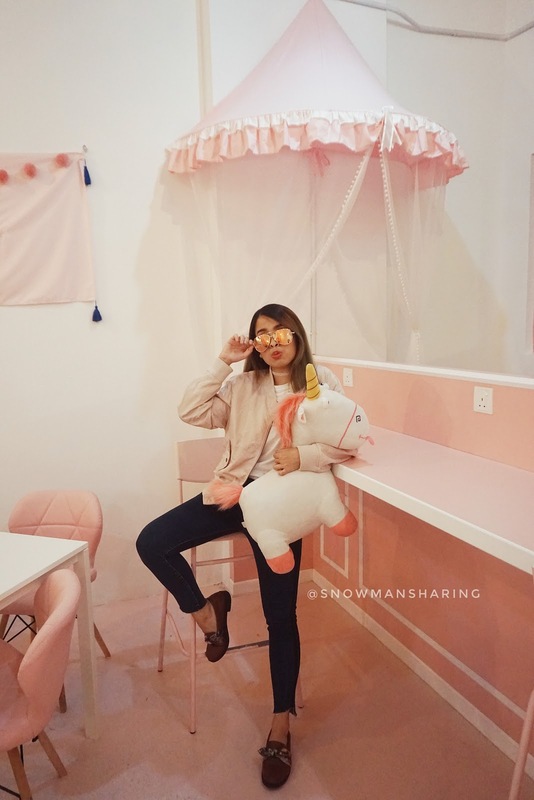 Even the pink chair is so adorable! 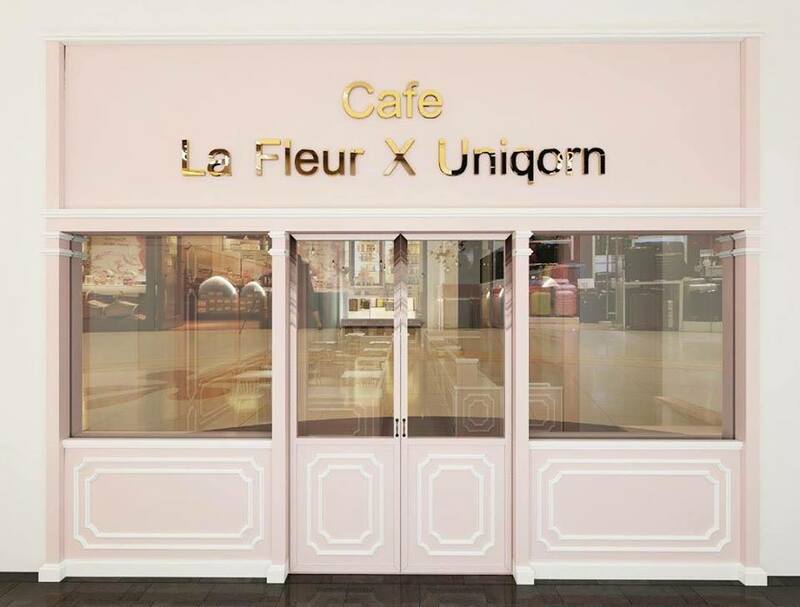 It matches the Pink and Uniqorn theme of this cafe. Super cute!! 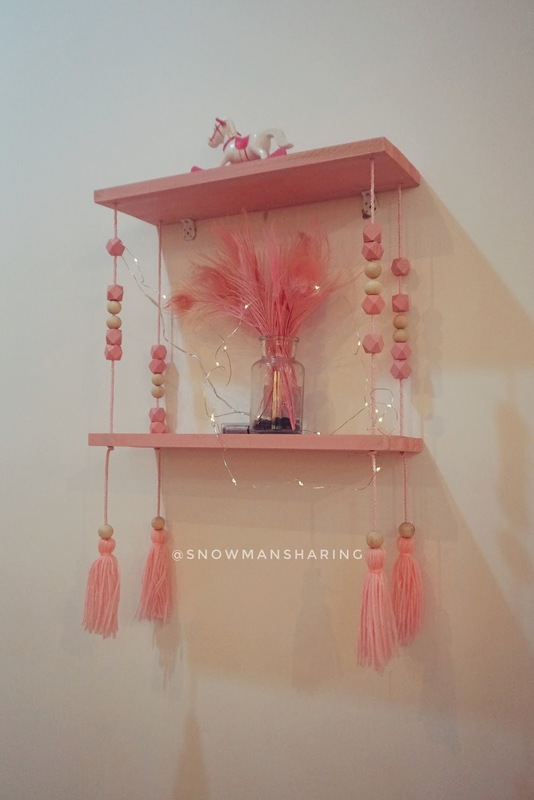 They have cute pink wall decorations as well. These decors look pretty artistic too! 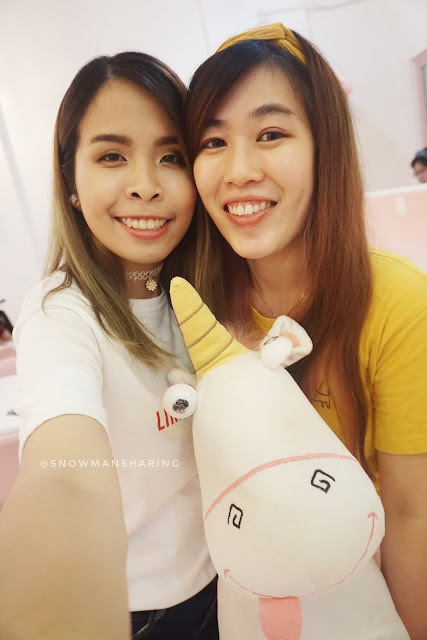 Here's come our food and UNICORN!! Which one do you think is more appealing to you? 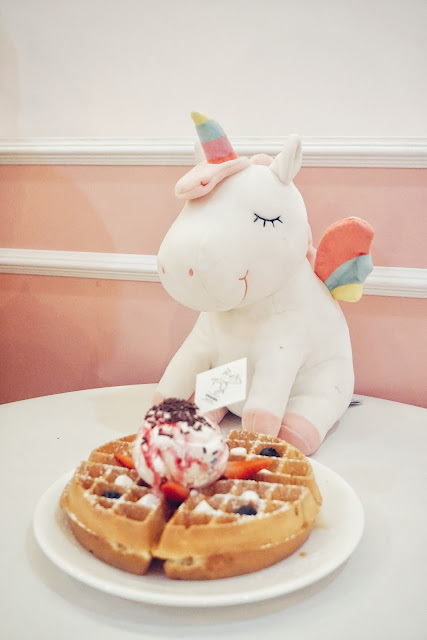 Not forget to take some pictures with my favorite unicorn and waffles! 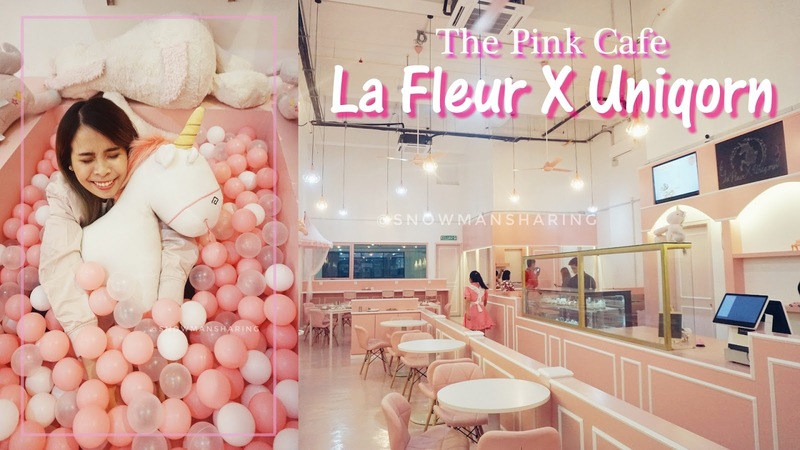 In La Fleur X Uniqorn, there's this big pink pool for you to take photos! If you happen to stalk their Instagram, basically everyone here just loves this corner and posted photos of themselves with this super cute pool. Check out here. Keep scrolling and check out some of my CHIO and Hillarious photo in this pool!! I think I am always the LAUGH 大姐. 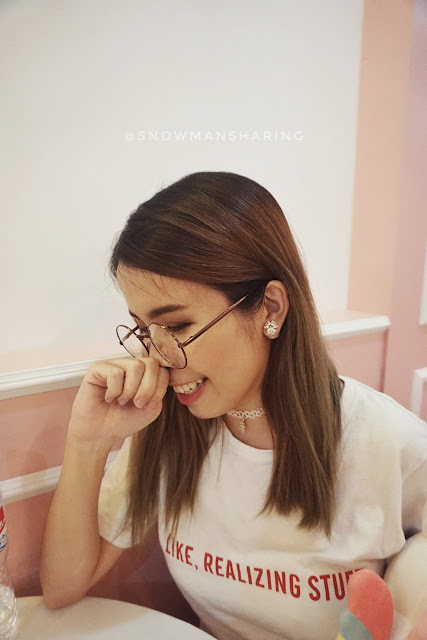 At least I still look pretty with this laugh look hahahaha! Next second I will be trying to act cute. Just be prepared with incoming photo spam! 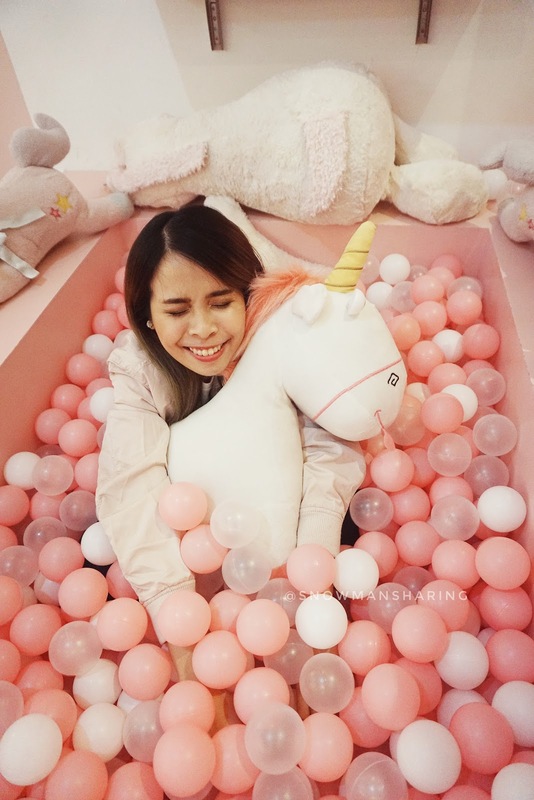 The pool itself is so deep inside so when you sit inside you literally drowns with all the pink and white balls. 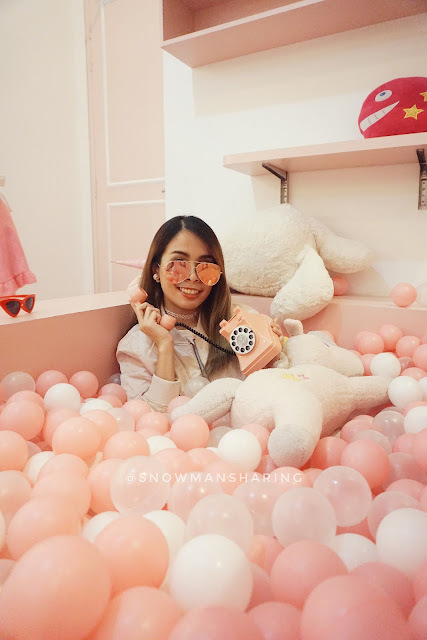 They also prepare some cute props for you to take photos too, such as this cute pink landline phone and more uniqornss!! That's all for my shots in this pink pool! There's more to share but I tried my best to select some of my favorites one. 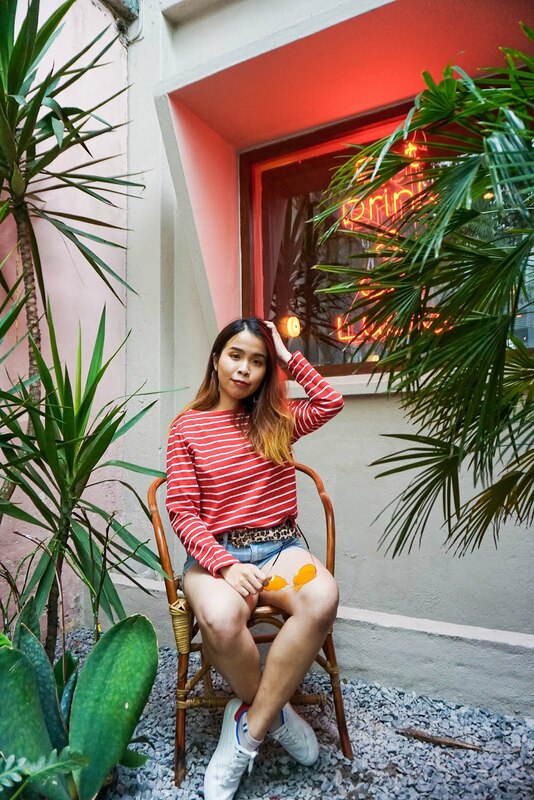 Another cute photo for some OOTDs shot! Wearing my favorite pink jackets that I haven't been wearing for a while, it matches the theme so well. Nothing is comfier when it comes to wearing jeans! Another cute pink corner with the pink tent too. Accessories of the day, wearing everything in white flowers which also matches the theme of the cafe. Hahahha Shin May really takes awesome pictures of you! You should hire her...hehehhe.. jk jk... and my gosh...that's a whole lot of pink! i super like the fact that the waitress is wearing a pink maid outfit too...hahahha spotted her in one of the pics. that pool will be my favourite to when i go there...I know one friend who is a pink addict and would love this place! Omg its so chio and vintage pink! I am sold with the concept design. Love it and very inviting. Yes I agree =) It makes us feel happy! So pinky! 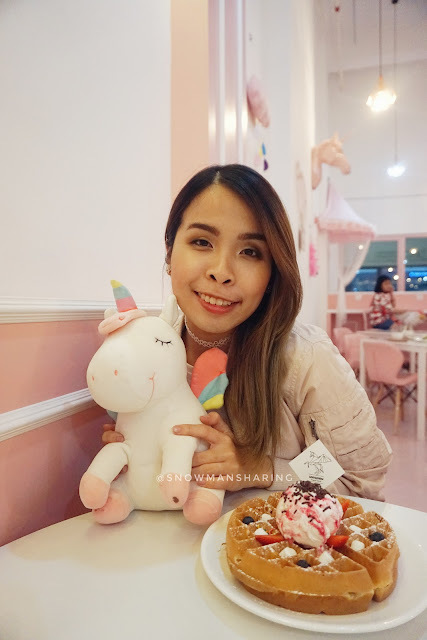 Such a cute and fairy theme cafe that I not yet discovered. Cool spot to hangout with my BFF to have a sweet tea time together! Lovely! 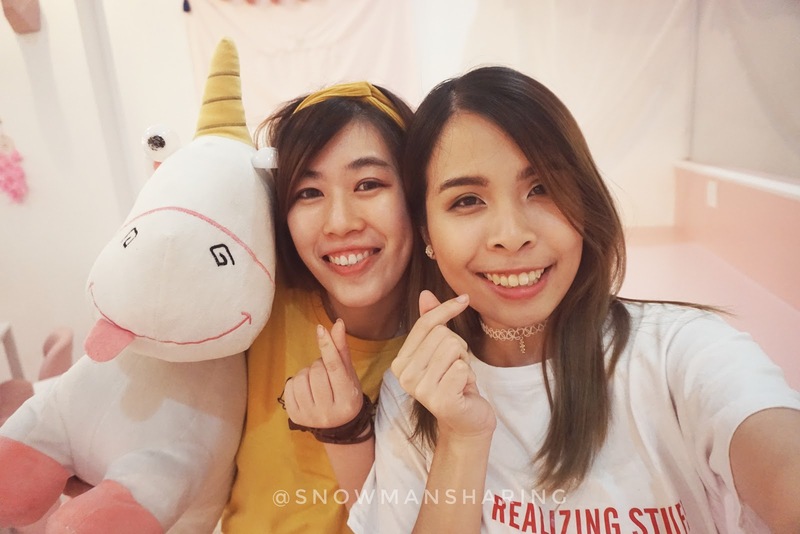 Those are lovely shots that you took, now I want to go to hug the uniqorns too. Such beautiful and trendy concept to have for a cafe. 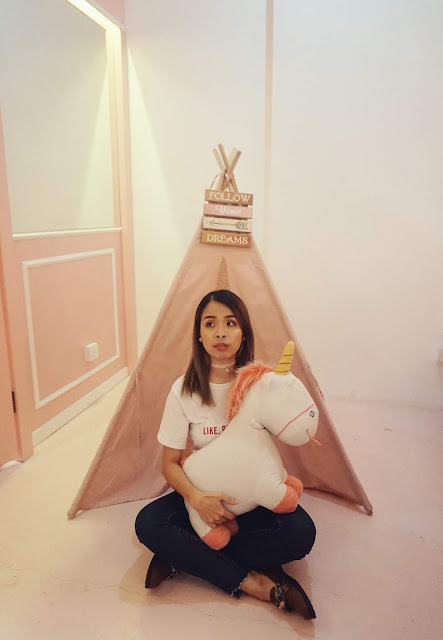 Those unicorns is too cute!! 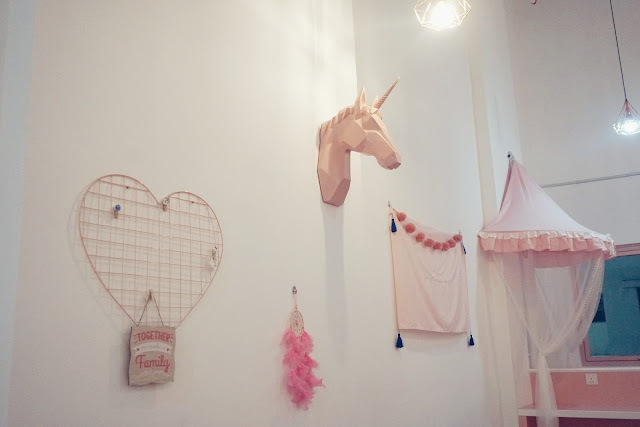 eeeee such a cute cafe, I also want to goooo!!! I don't even care if their food is on point. LOL Even though Shin May was in yellow/brown, surprisingly, it matched the unicorn colour too! I wanna visit this cafe too! I have seen lot of you visited. Indeed an instaworthy place. Yes! All the girls would love this place!! for sure i will go there!!! 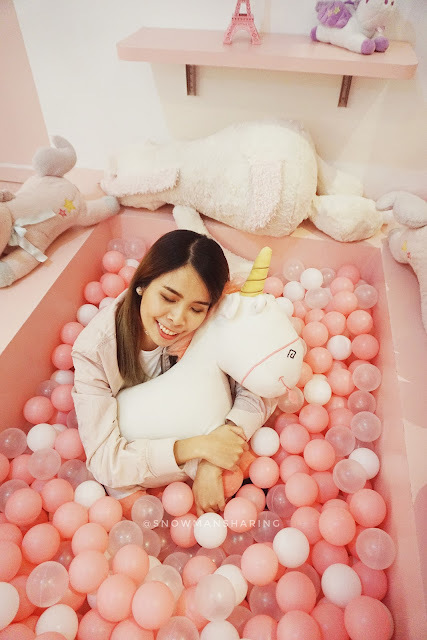 lolx.. not because of unicorn.. is because of the color theme. i laways found calm in pink and for sure this gonna be the great place for me! It was a super cute place to visit too! !